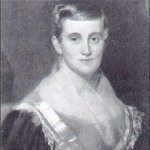 Prudence Crandall was born on this date in 1803. She is considered the first teacher to teach a classroom that integrated Black and White students. Describe what you’d like to be remembered for being the first person to do.